Work Hours Open 7 Days a week from 8:00AM to 5:00PM. Tour availability 8:30 AM to 2:00 PM. 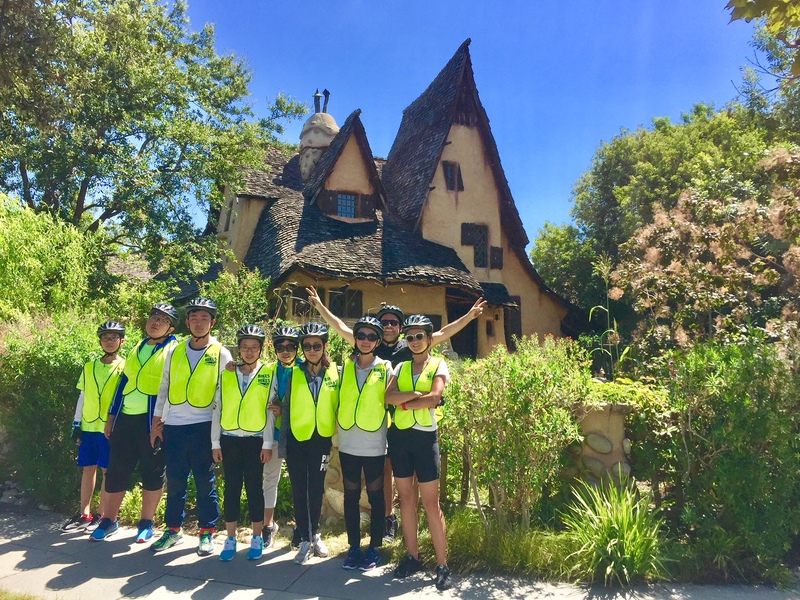 3 hour self-guided tour includes: West Hollywood – pedal past 30 + Celebrity Homes – Beverly Hills Estate Garden & Grounds Walking Tour – Rodeo Drive – Villa Blanca Restaurant (featured on the Real Housewives of Beverly Hills) – 9/11 Memorial – Ultra-Trendy Robertson Blvd – Beverly Hills Sign – the “Witch’s” House – Beverly Hills Hotel – Four Seasons Beverly Wilshire (the Pretty Woman Hotel) – Good Shepherd Church –Brand New Wallis Annenberg Performing Arts Center (formerly BH Post Office) – and so much more. Explore and experience the best of West Hollywood & Beverly Hills on your own time, at your own pace. It is an easy to moderate bike ride, with some hills. The GPS enabled device is your virtual guide that leads you on a specially designed route through the city telling you about your surroundings, pointing out LA’s highlights, hotspots and hidden gems. When you’re ready for a break, just hop off your bike, lock it up and have a fabulous lunch at one the many LA restaurants and cafes. Take a stroll down Rodeo Drive for a little shopping or relax in a Beverly Hills park for a bit. Bring comfortable shirt and shorts/pants, jacket, sweatshirt or windbreaker, closed-toe shoes and don’t forget your camera. They can provide storage while you are on the tour. Make a reservation if you want to plan your day accordingly. You can cancel or make changes no later than 24 hours in advance of your booking. If you need public transportation you can get your detailed metro trip here. Otherwise you may use the garage parking available: West Hollywood City Hall Automated Parking Garage, 1085 Sweetzer Avenue (Mon-Fri). Or you can park at Kings Road Parking Garage, 8383 Santa Monica Boulevard (Mon-Sun).